I used to think they were kinda silly. I did. 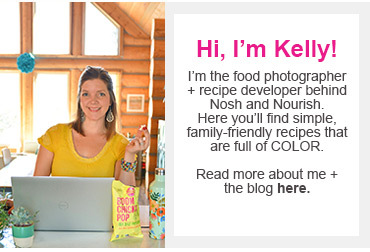 BUT, then I started having smoothies every day (part of my new year's resolution that I've kept up now for 63 days!!! #goingstrong). And I realized smoothie bowls are a nice way to slow things down a little bit and to savor the moment instead of sucking it down with a straw in 6.2 seconds flat! 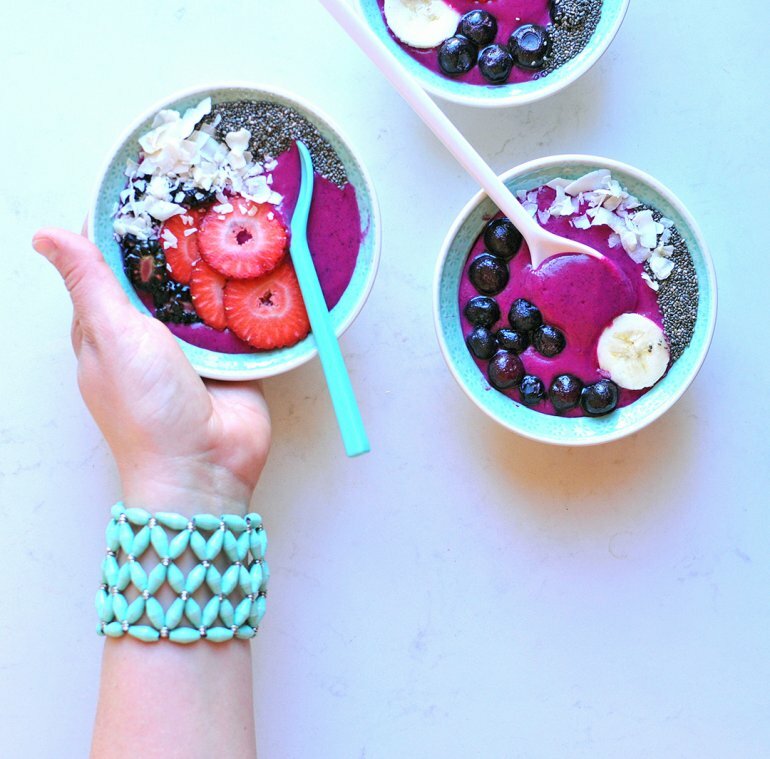 AND smoothie bowls are allllllllllll about the toppings. Am I right? 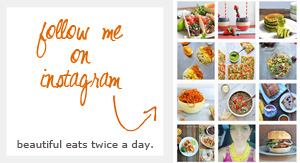 So you basically get to play with your food and make it pretty. 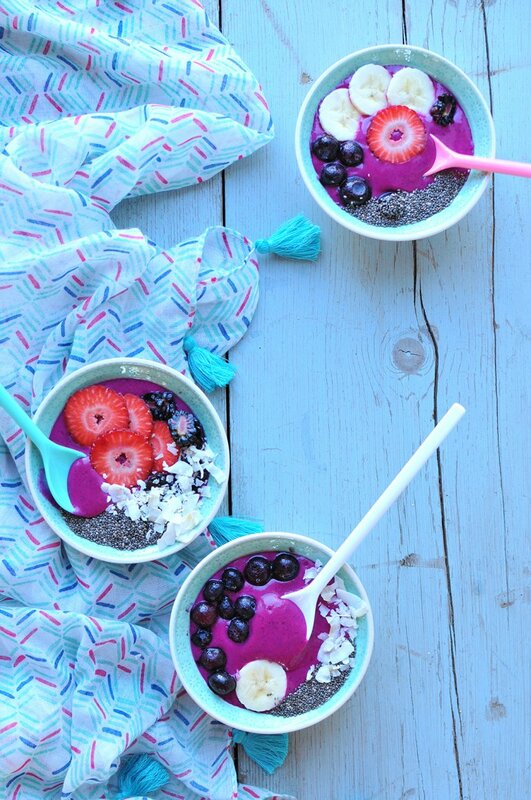 There is a trick though... for smoothie bowls vs. regular smoothies. You want to use less cashewmilk so that it has a slightly thicker texture. That way the toppings actually stay on top (!!) instead of sinking to the bottom. So in a normal smoothie I'm drinking with a straw I usually use 1 cup of cashewmilk; but for the smoothie bowl, I use 1/2 a cup. 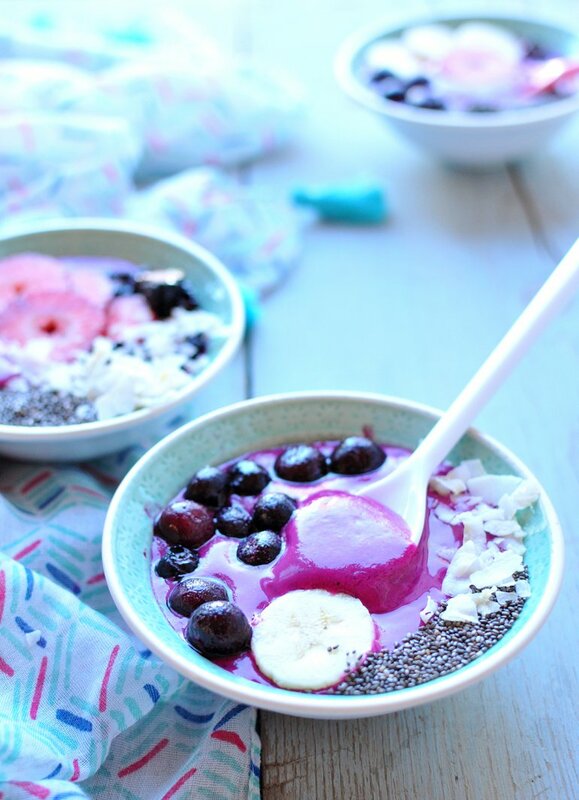 What makes this particular smoothie bowl so gloriously pink is the dragonfruit. Most of you probably haven't had it before, but I highly recommend adding it to your smoothie rotation every so often. It's chockful of antioxidants and nutrients -- like magnesium and fiber and vitamins B2 and C! So, where did I get this neon pink fruit? At Wholefoods --- they sell frozen dragon fruit puree in 4 serving "smoothie packs"! You just add them directly into the blender with the cashewmilk and protein powder.<---- easy, peasy! 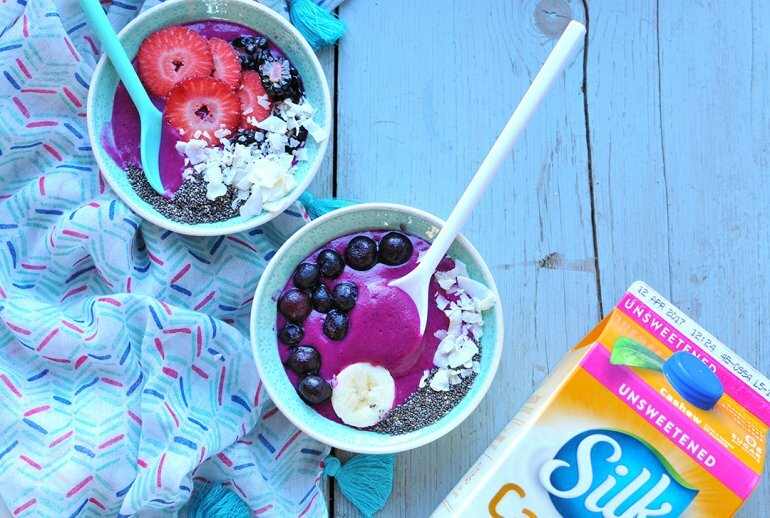 And if you're not ready to fully embrace the smoothie bowl trend, that's ok! You can just blend everything up and put it in a mason jar... like I did below (feel free to add a little bit more cashewmilk). 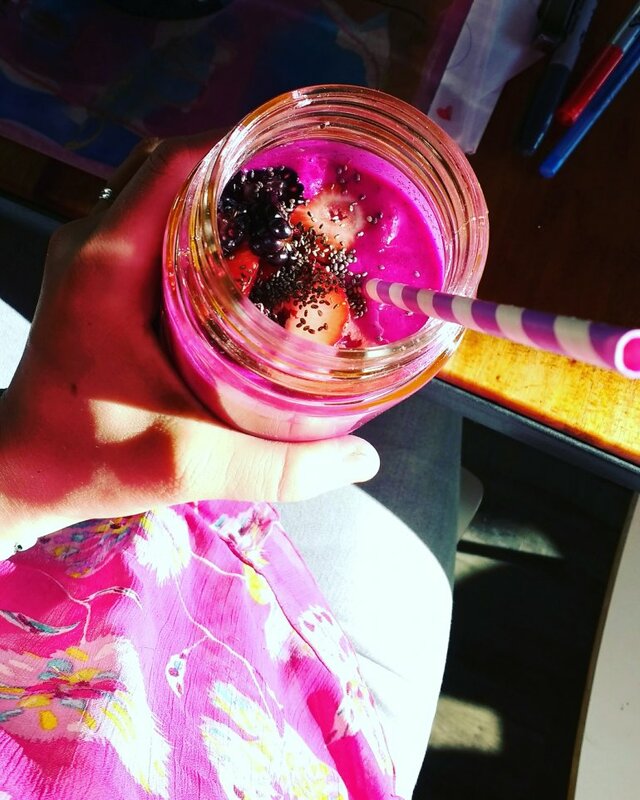 Who else is ready for more sunshine, more flowers, and more delicious smoothie recipes?!?! Combine smoothie bowl ingredients together in a high speed blender (Blendtec if my favvvv). Pour it into a bowl and top with various toppings.